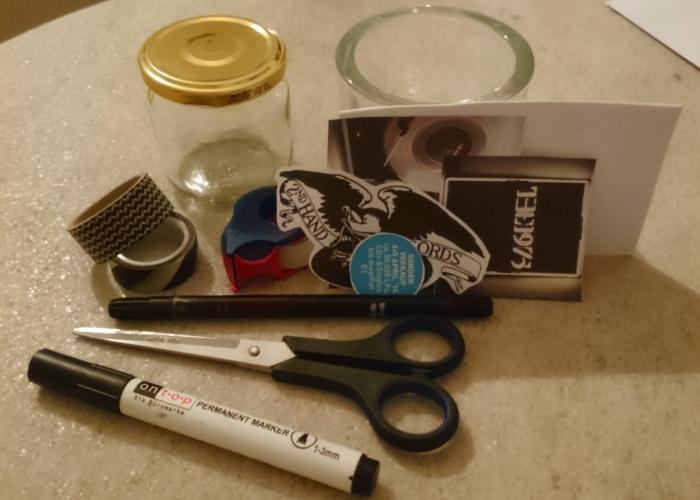 I finally have a new DIY for you guys! Sometimes I try to save some money for specific events. So I figured it would be more motivating to have something pretty to put the money in. 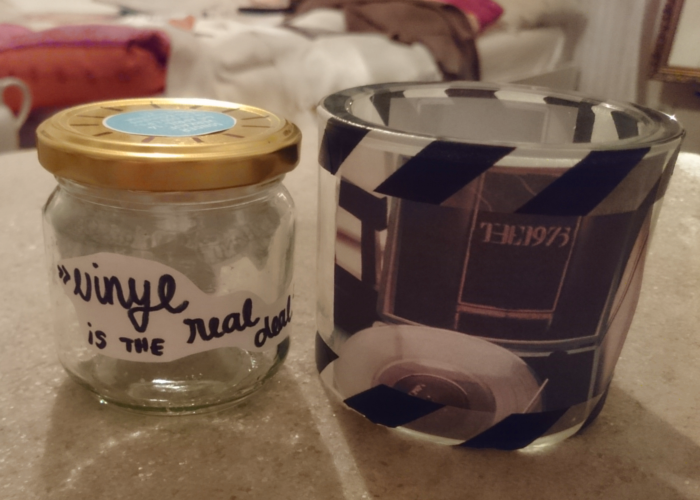 This is what I made: litttle jars and glasses with pictures on ’em – no piggy bank needed anymore! 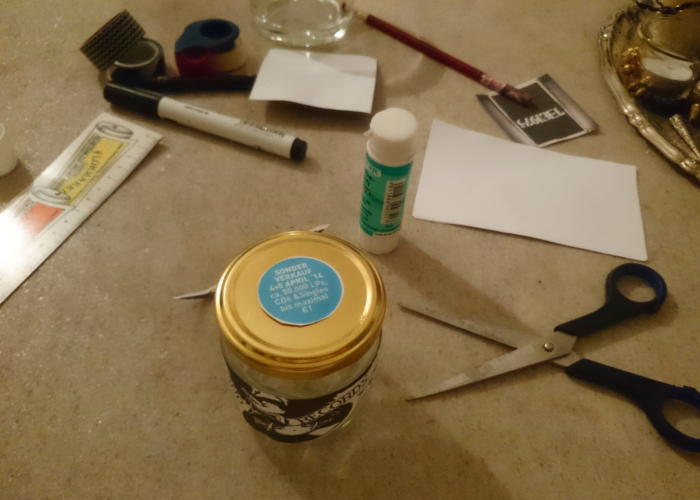 You simply need to find some pretty pictures on the internet, print them out and stick them to some jars. Use washi tape or glitter to make them even prettier. 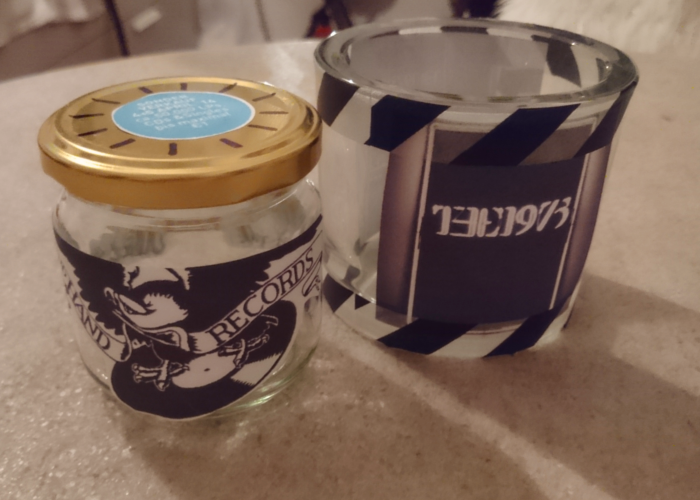 There’s a second hand record store around here and they have a special sale in April, so I’m saving up for that one, and I also want to buy “The 1975” on vinyl. What would you like to save up for? Tell me in the comments! "inspiration | mirror, mirror in the shop…"
"diy | customized laptop “skin”"